Her Voice is a unique event, gathering women together in a place where they can be encouraged and empowered to walk in their calling. Begin your weekend with a gathering of friends and laughter over dinner…continuing into a night of worship and Sabbath experience with Jesus. 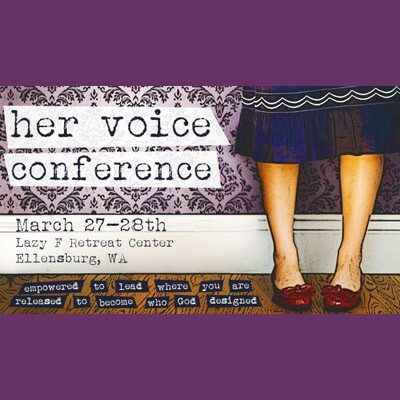 On Saturday morning, twelve HER VOICE speakers will share their voices in concise 15 minute vignettes, addressing how women can fully embrace a life of faith, meaning, and purpose. Watch how God will weave the themes of their stories with the message He wants to speak to your heart. After a morning of inspirational speakers and hot topics, join new friends and old over lunch for empowering conversations before returning home to embrace your life with a renewed and refreshed spirit and hope! We’ll leave New Life Assembly at 3:30 Friday afternoon, March 27th, and return around 2:30 Saturday afternoon. 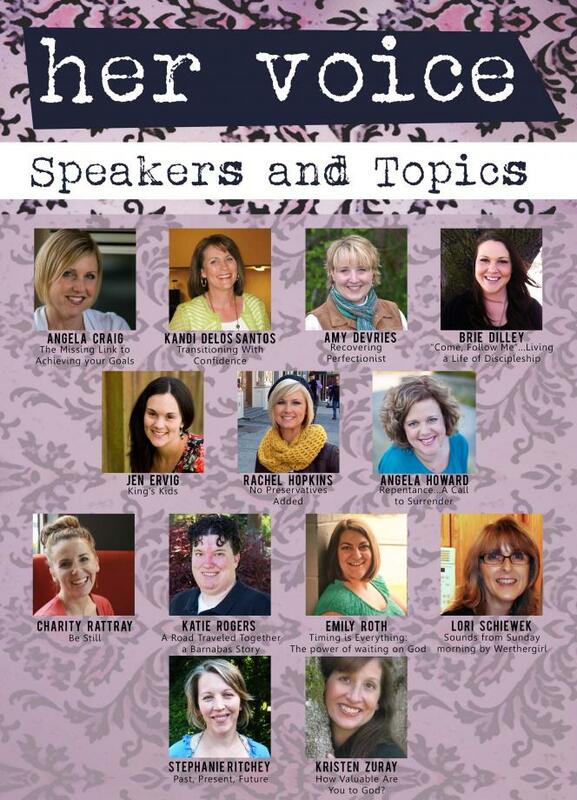 For questions or more information, contact Julie Carlson at 509-607-4687 or jajrcarlson@yahoo.com. To register, click the “Register” button at the bottom of this page. Your Sabbath time with Jesus. or one of our beautiful reflective prayer stations.